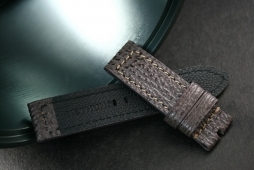 We are proud to be presenting a new limited edition watch marking the opening of 2019. 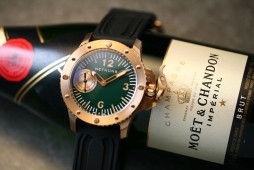 The brand new Swiss made N°7 Dive watch. The dial is etched with a unique luminous Skull, black luminova is throw in the mix with the popular California markers, hardened black 12 corner ceramic unidirectional rotating bezel, and a 47mm DLC coated stainless steel case. A special feast is the newly developed “Ninja dart” seconds hand which is mesmerizing to look at. A perfect compliment to this limited release. 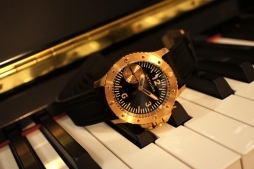 Each watch is equipped with a Swiss ETA 6497 high precision movement which has a power reserve time of up to 46 hours. 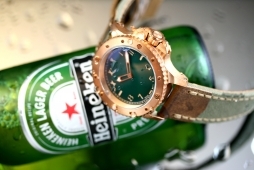 The watch is water resistance to 300m and is limited to only 50 pieces. 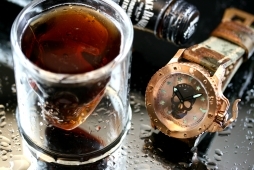 A famous California black dial featuring a mixture of Arabic and Roman numerals. One year on from the launch of LAVA we are finally ready to reveal the all new LAVA II. LAVA II is made with inspirations from LAVA customers and enthusiasts. A 45mm stainless steel watch case made using the state of the art multi-faceted three-dimensional cutting technology. 12 bevel angle reverse-rotating steel bezel with hardened black ceramic bezel insert, giving the watch a strong masculine look and feel. The enlarged watch dial and hands are applied with Super Luminova, so that you can read the time with ease even in complete darkness. LAVA II is equipped with a high precision Japanese movement with power reserve of up to 41 hours. 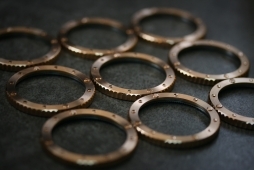 24mm end to end solid steel bracelet. 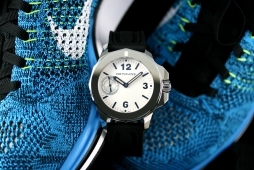 Equipped with Helium exhaust valve and is water resistant to 600 meters. 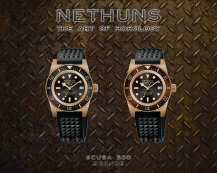 The Nethuns Scuba 500 feature an old school diver watch case without the chunkiness of a crown guard. 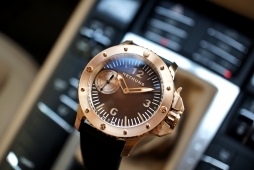 Sapphire crystal is used for its underwater visibility and the ceramic bezel for its superior scratch resistancy. 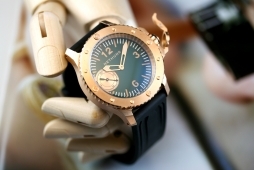 The Nethuns Scuba 500 bronze feature an old school diver watch case without the chunkiness of a crown guard. 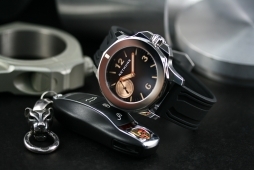 Sapphire crystal is used for its underwater visibility and the ceramic bezel for its superior scratch resistancy. Lets spice up the Lava with a variation of new dials. 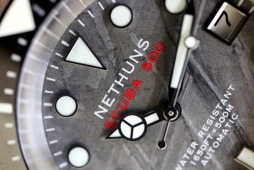 It is with our greatest pleasure that we are announcing today the launch of the Nethuns Scuba 500 Meteorite Dial. 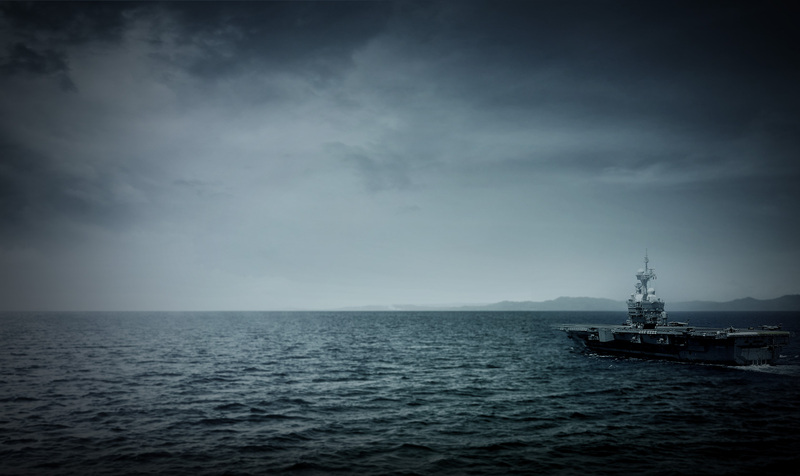 A great deal of effort was spent in finding the right quality rubber to create our own luxurious strap that is both durable for any underwater mission as well as comfort to wear every day. The Scuba 500 are available for immediately delivery. We are thrilled to be announcing the release of the Nethuns Lava in special DLC coated steel. 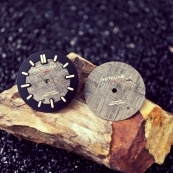 We are also showcasing with this new release a new choice of dial, the Mahagony Obsidian Stone dial. In our opinion this stone looks stunning in the Lava DLC case and will be limited to 299 pieces. The well liked meteorite dial will also makes its return in the DLC case and is limited also to 299 pieces. 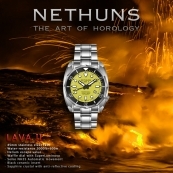 With popular demand we are delighted to announce the release of the Nethuns Lava in Stainless steel. 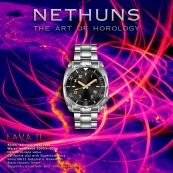 The creative team at Nethuns have decided to use for the first time the Mother of pearl dial in the steel Lava case and will be limited to 299 pieces. The result is simply amazing. 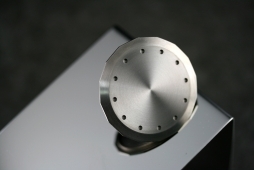 The meteorite dial will also return in Stainless steel and are limited to 299 pieces. A new favourite of team Nethuns is the new “Green Lantern” which feature a radiated green dial with tough ceramic green bezel. 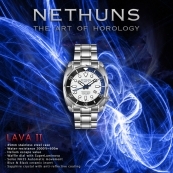 Equally popular with our team is the Nethuns Lava with graduated blue/black ceramic bezel on a black dial. We nicknamed it “Mr. Fantastic” with its obvious color combo. 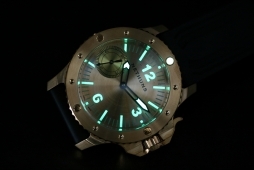 From the maker of Nethuns Bronzo and Nethuns Lava, we are bringing a new Divers choice, the Nethuns Ocean 300. 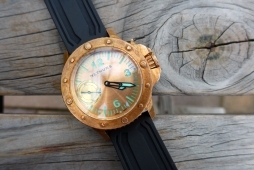 A tried and tested diver watch which is water resisted to the depth of 300m. 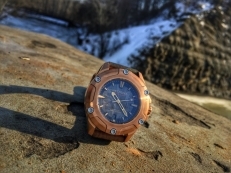 The case is newly created and measured to 43.5mm with 6 decorated screw and made with our legendary bronze material. 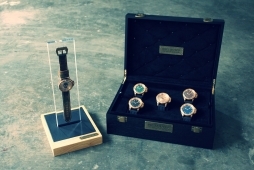 Comes with a choice of dials including the much loved Meteorite dial (cut from a block of meteorite and finished with a Widmanstatten pattern by etching the cross section of the meteorite with weak acid), the green fume dial, and the latest addition, the malachite dial. Malachite is a copper carbonate hydroxide mineral instinct with the natural green pattern. The malachite stone is not new to the watch making industry and was once popular in the early 70s. 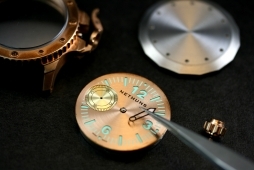 At Nethuns we love that old school look and hope our customer may share the same love and look of that unique retro feel on this unique diving instrument. 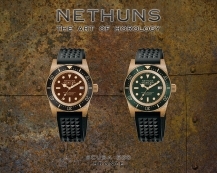 A welcome addition of a versatile diver to our Nethuns family. We are thankful for the reaction on our LAVA range in particular the "Falling stars" which is backlogged at the moment. 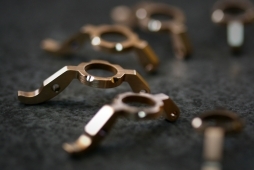 Truth be told our QC guys at Nethuns have been hard at work. You see as we have said each meteorite dial is cut from a block of meteorite block and we cannot predict the outcome of each cut. 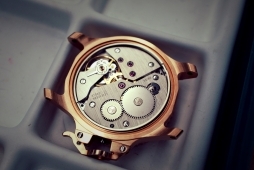 Therefore it is crucial that each dial is carefully scrutinized for any imperfection that exist. Please bear with us, we are working extra hard! NETHUNS LAVA BRONZE LB121 “Falling Star” limited to 99 pieces. Our LAVA LB121 “Falling Star” feature an meteriote dial finished with a Widmanstätten pattern—created by etching a cross-section of meteorite with weak acid. 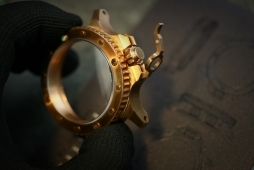 The result is a true meteriote dial that reflect light at different angles. 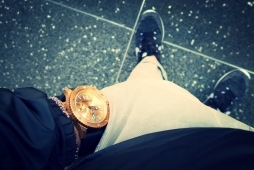 A testament to eternity on the wrist of its owner. 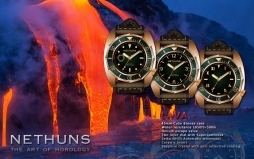 NETHUNS LAVA BRONZE LB122 “Night Sky” limited to 99 pieces. Our limited edition LAVA LB122 “Night Sky” feature a Blue Goldstone dial which mimics a view of the night sky and is garnished with hour markers. The otherworldly dial is a dream to look at. 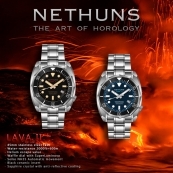 Nethuns “Base LAVA” maintain the tribute to true diving watches featuring a combination of much loved sandwich dial finish with a choice of California marker, arabic or pin markers. 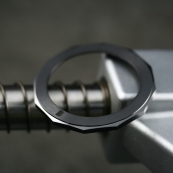 The unilateral rotating bezel is finished with a ceramic insert. All LAVA are tested to a resistance of 1650 feets. The LAVA is launching this September. 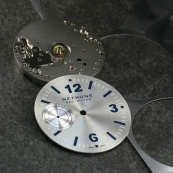 The dial is cut from a block of 925 sterling silver. 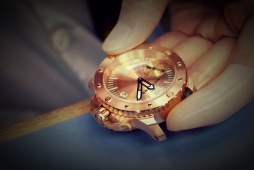 After treatment the luminous markers are then applied to the dial. For those customers who like our Anniversary edition but prefer a steathier look we offer an alternative dial combo. The dial of this "Quick silver" stealth edition is still cut from a block of 925 sterling silver but is painted glossy black. 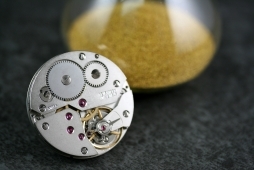 Silver is visible via the subdial and the 3, 6 and 12 markers. The rest of the luminous markers are applied at the end of the process. 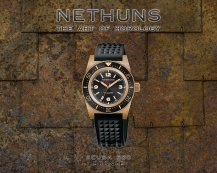 We use a hi-tech ceramic to create the solid bezel for our latest version, the NETHUNS N° 7.1.3.7.01. The ceramic is about 9 times harder than steel. It is an almost totally scratchproof composite material that can be scratched only by diamonds. 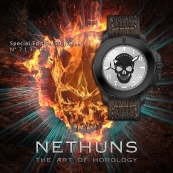 On the second anniversary (16th November 2014) of the realisation of the concept for Nethuns watches we are celebrating this special day by releasing the "Silver Knight" or some of our client prefers, the "Quick Silver". Silver is normally preserved to celebrate the 25th anniversary. We are choosing this precious metal for its unique shine which is perfect for plenty of daily gazes. From Nethuns comes a new concept, the Nethuns' "Silver Knight'". Stainless steel case coated with DLC (Diamond-Like-Carbon), ceramic bezel and a 925 sterling silver dial specially treated to preserve its shine. 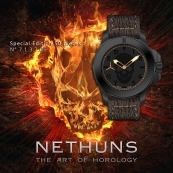 Available at a special price to commemorate the 2 years anniversary of the conceptual inception of Nethuns watches. 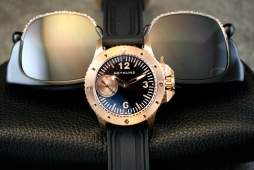 The bronze dial (pinkish color) feature a silver color subdial and full blast blue markers (luminous) like its big bronzo brother the bronze subdial can age over time and form a patina that can be enjoyed via the safety of the sapphire crystal without the risk of an allergic reaction. 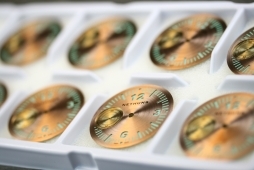 The white dial (non- bronze version) feature a silver color subdial. The faded yellow marker provides amazing contrast and light up in darkness. 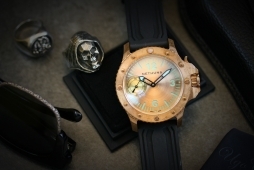 Finally the black pearl version feature a bronze sub dial. 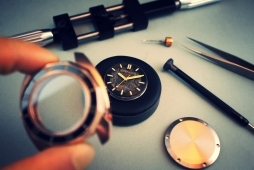 A black luminous index and a sandwich dial. 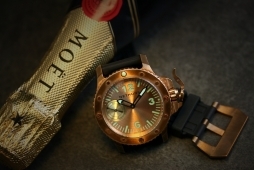 We have received many clients enquiries about the Montres-Militaire MIL N°7111. Since we have ceased using the brand name MM, we are unable to offer them for sale anymore. 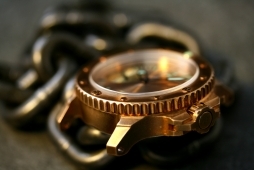 However we have to acknowledge the keen interest of our clients. So after much discussion we are happy to announce we will be making a limited production run of the classic MM case but with a brand new dial combination bearing the proud name of Nethuns. A special presentation of the 5 california Nethuns ordered by one of our valued customer and true friend. After a working week we need a bit of relax... It's time for a Beer! 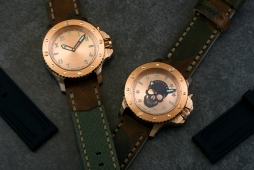 Throw in a bit of canvas khaki and camouflage and we have the Nethuns’ Extreme Combat, a strap that can be worn on either side. 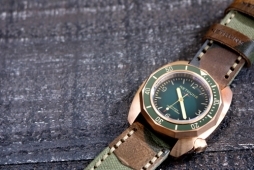 On one side is the popular military khaki green canvas and on another the distress camo. The raw Extreme Combat will add its character with the sweats of everyday use. With the production number of only 99 pieces, the chances of you spoting one on another mortal is slim. The Nethuns airborne is limited to 99 pieces. 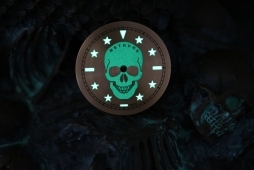 Featuring an all new military star indices and a black luminous skull to brighten those late night office missions. Christmas is coming and it is time to go back to Basics. Show some loves to those that are important in your life. The all new Nethuns california base will start delivery in December. 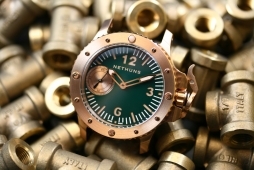 Nethuns "Green beret" feature a subtle smokey green dial. We deliberately kept the fume light and not over-whelming. At Nethuns, we are thrilled with the result. The picture doesn't do it any justice. There are 299 pieces of the "Green Beret". 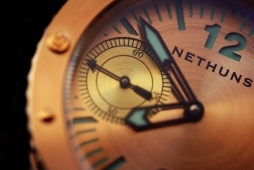 We refined the design of Nethuns Bronzo over the course of two years. Our crown guards are patents pending. 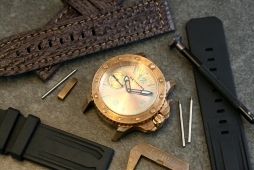 The first 99 pieces of each colors Nethuns bronzo with come with an extra shark skin strap that are tanned in Nethuns unique color. 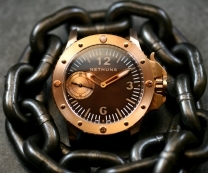 The Bronze material used in Nethuns watches are unique to us. 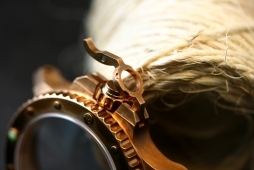 It consist of a unique formula of Alloys of copper and tin. The result is a tone of alloys that is beautiful to look at when new and more stunning as it ages with its owner. 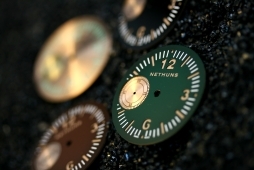 The sub dials on each Nethuns Bronzo are also made using bronze. 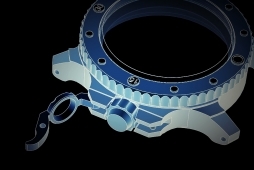 This mean the subdial is subject to color change over time to add character to each watch. 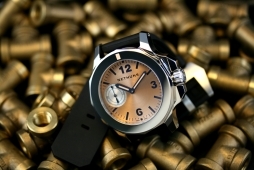 All Nethuns watches have double-domed anti-reflective sapphire crystal.